is granted by the Software Engineering Institute. ® CMMI, CMM and Capability Maturity Model are registered in the U.S. Patent and Trademark Office. SM IDEAL and SCAMPI are service marks of Carnegie Mellon University. 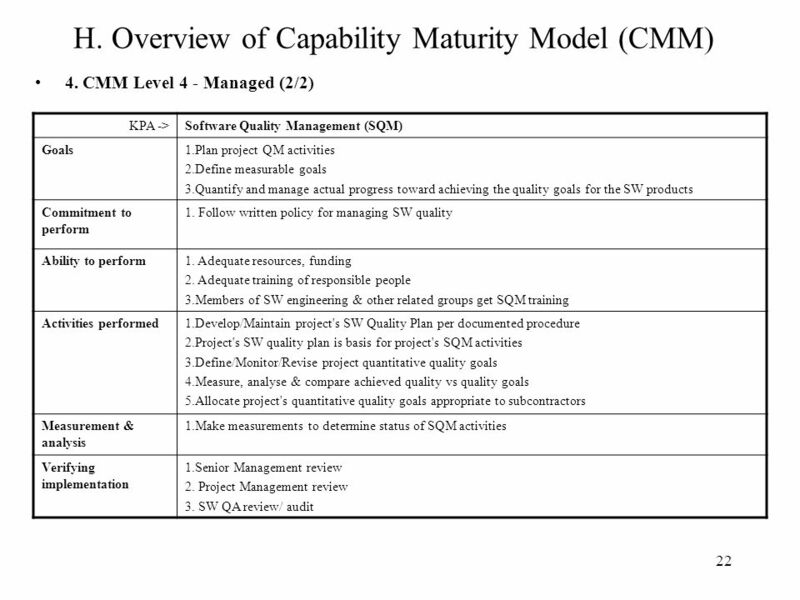 Capability Maturity Model is used as a benchmark to measure the maturity of an organization's software process. 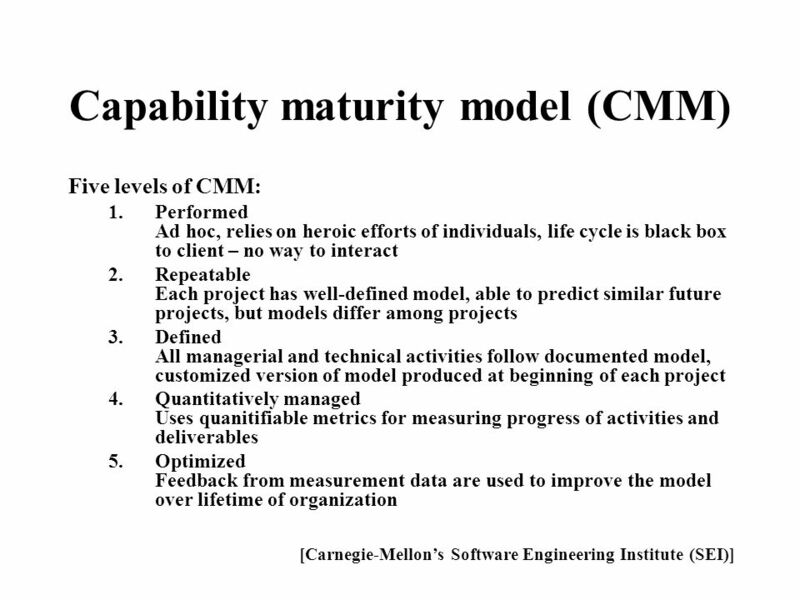 CMM was developed at the Software engineering institute in the late 80's. It was developed as a result of a study financed by the U.S Air Force as a way to evaluate the work of subcontractors. 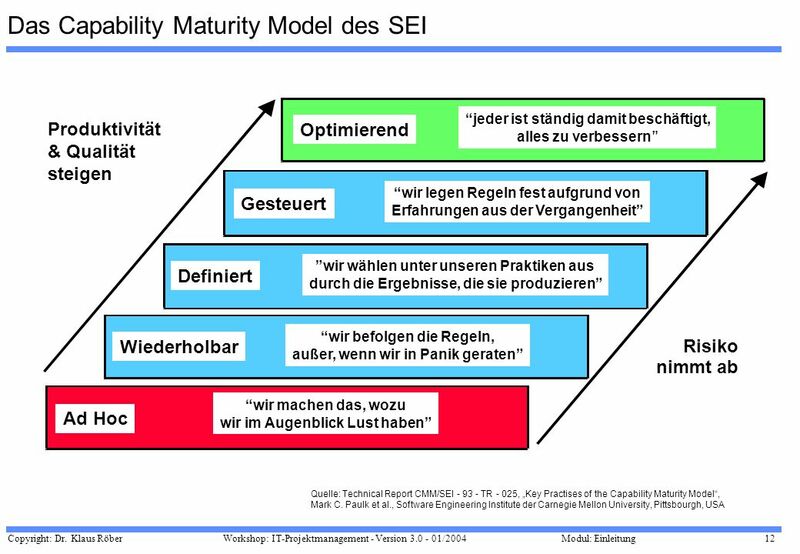 SEI Capability Maturity Model (SEI CMM) helped organizations to improve the quality of the software they develop and therefore adoption of SEI CMM model has significant business benefits. 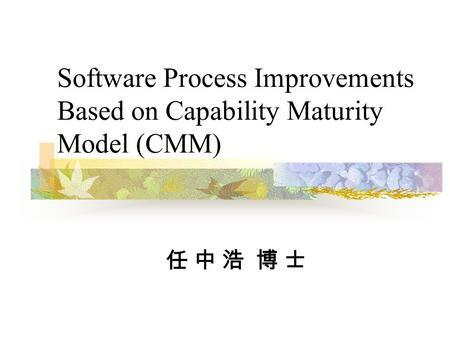 CMMI generalizes from the CMM descriptions of software development and describes process maturity in broader terms, extending the model to include many other processes within an organization.